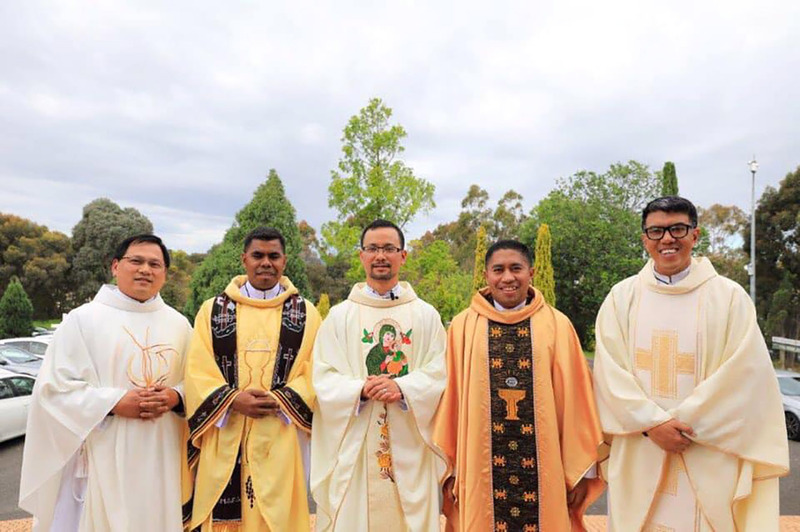 (Melbourne, Australia) Five Redemptorist Deacons of Oceania province were ordained to the priesthood on November 24th, 2018. The ceremony of ordination was held at St. Paschal Chapel, run by the Franciscan Fathers in Box Hill. 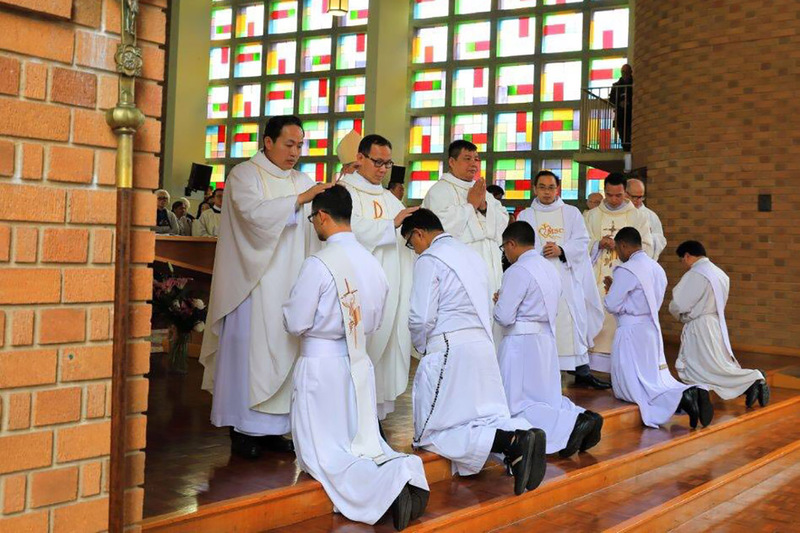 The five men were ordained by Bishop Paul Bird CSsR. The day began with a celebration, thanking God of the dedication and accomplishment achieved by these five men, and those who supported them on their journey. Amidst family and friends from around the world, those in attendance were able to bear witness to these men being entrusted with the sacred duty to serve their community. 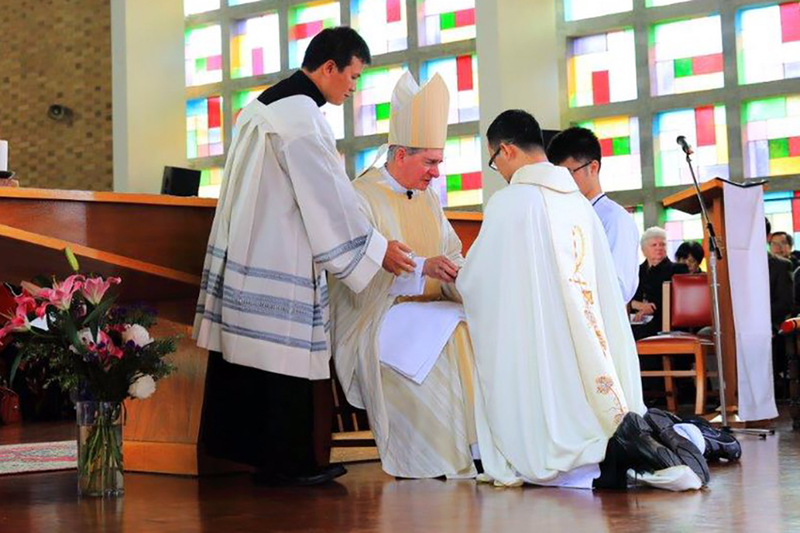 As Bishop Bird remarked, “a new priest should not be given as a gift a golden chalice, they should be given a bowl and a towel to wash people’s feet”. Doan Nguyen migrated to Australia when he was 8 years old as a refugee. 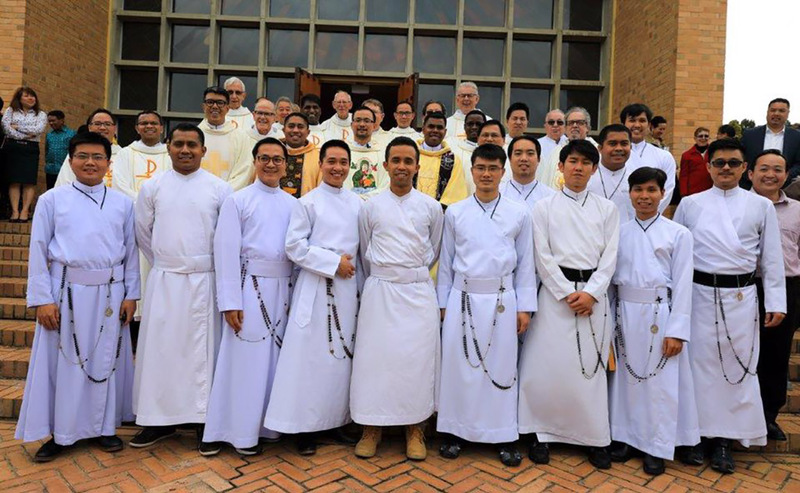 Son Nguyen joined the Redemptorist in Vietnam after his graduation and later he was sent to Australia. 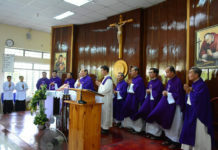 Timo and Lovin had the initial formation with the Redemptorist in Indonesia and Mark Chia come from Singapore. All of them are now members of the Oceania Province. They are the fruits of the restructuring within Oceania-Asia Conference. 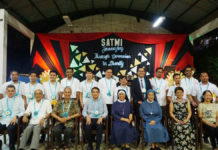 This is an amazing grace of God upon the Redemptorists of Oceania because there would be more Redemptorists to work in a vast area of Oceania. Thanks, to our dear confreres who courageously said “YES” to the invitation of God and surely, they will continue to say “YES” to Him whole of their life. We wish all the ordained the very best as they embark on their faith journey to preach and share the Gospel and message of God’s abundant Love and Mercy. Mr. Matthew Howard and Br. Duc Trung Vu, CSs.R.